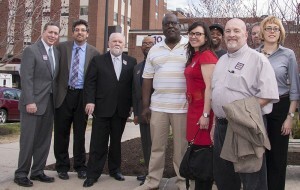 Ron Oakes with a delegation of elected officials, community members, and other UPMC workers. 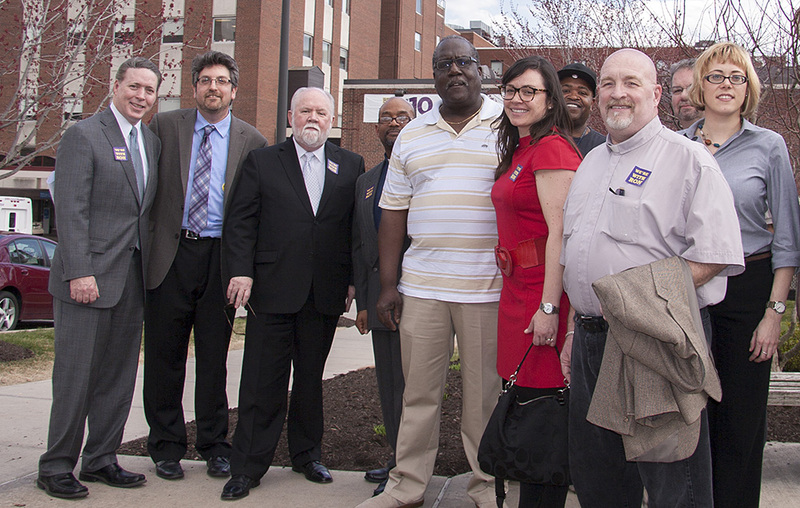 Tuesday afternoon, a delegation of elected officials, community members, and UPMC workers went to UPMC Presbyterian President John Innocenti’s office demanding that he bring back fired union supporter Ron Oakes. This is the second time UPMC has fired Ron as part of its campaign of intimidation of workers who are standing up for better jobs and a voice at work. The delegation was not allowed to meet with Mr. Innocenti, but only allowed to briefly speak with his assistant. 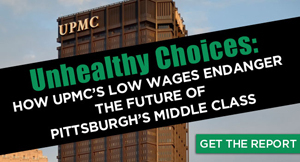 In the days since our city challenged UPMC’s status as a charity, UPMC has stepped up its campaign against workers attempting to improve their jobs. In response, workers are filing over 20 new charges against UPMC. The new Unfair Labor Practices allege that UPMC is engaging in a systematic pattern of interfering with, restraining and coercing employees who are forming their union. 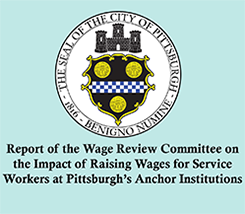 Specifically, since the historic settlement with the National Labor Relations Board, where UPMC committed to uphold the law, UPMC managers and supervisors have threatened employees with disciplinary action (including termination), have surveilled employees who are known union supporters, interrogated and harassed other union supporters, have warned employees that they are prohibited from speaking about the union, and has altered duties and responsibilities all in an insidious and unlawful effort to prevent employees from forming their union. UPMC has also summoned police and threatened to arrest employees who were simply talking about the union on non-work time. Federal law protects employees’ right to speak about the union. UPMC’s anti-union actions reflect a clear pattern of targeting workers who have been vocal and public in their support for forming a workers’ organization. In addition to violating federal law, many of UPMC’s actions also violate the settlement that UPMC agreed to with the Board on February of 7, 2013, to avoid going to a public trial over 80 alleged violations of federal labor law. At a time when many in the city are questioning UPMC’s behavior, the Hospital system’s repeated use of scarce healthcare funds to retaliate against workers standing up for fairness on the job is the latest proof that UPMC isn’t a real charity. Show Ron and the rest of the UPMC workers that you have their back by donating to the UPMC Workers’ Hardship Fund today.